Situated in B2 Sector 71, Comfort Residency is a charming hotel with a fine external structure and a warm interior ambience. 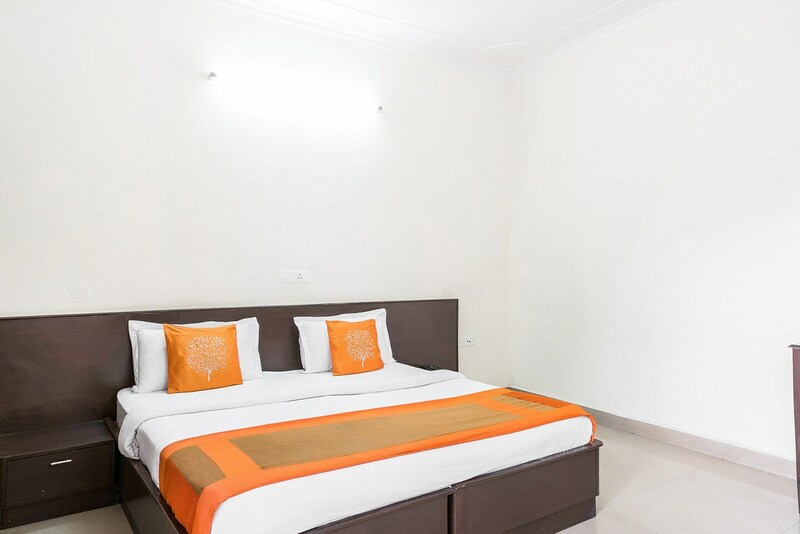 The bedrooms at the hotel have a simple and sober decor with light coloured walls and dark wood furnishings, thereby making the rooms appear bright and warm. The rooms also have a large window that not only let ample sunlight stream in but also allows the guests to enjoy the view the around. A kitchen is present at the hotel for the guests to make use of while staying there. The presence of CCTV cameras all over the property ensures that the guests have a safe and secure environment to stay in. Other amenities offered by the hotel are power backup and parking facility. Tourist spots such as Red Fort, Ivy Blaze, Chausath Khamba, and Shaheed Smarak are situated close to the hotel. There are also a number of restaurants situated close to the hotel.